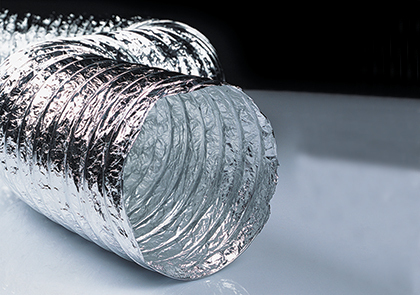 The Easi Vent Flexible Ducting range is ideal for use in Bathroom Ventilation, Kitchen Ventilation, Domestic Fans and Commercial Ventilation applications. 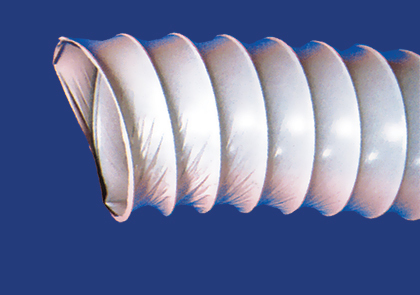 Easi Vent Round PVC Flexible Ducting is a light wire-reinforced white PVC ducting for domestic applications including cooker hoods and bathroom fans. Sizes available 82mm (length 15m), 102mm (length 3m & 6m), 133mm (length 3m & 6m), 152mm (length 6m). 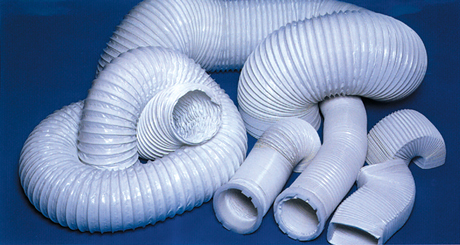 Round Aluminium Flexible Ducting is a wire reinforced aluminium ducting with polyester coating for strength. Manufactured to BS476 parts 6&7 Class 0. Sizes available sizes 102mm, 152mm, 203mm, 254mm, 305mm all in 10m lengths. 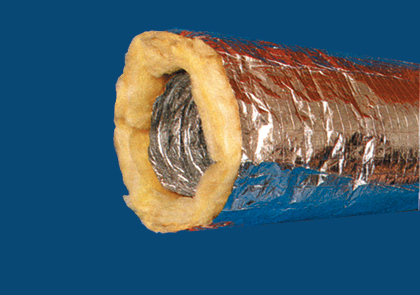 Insulated Aluminium Flexible Ducting is aluminium ducting with 25mm glass wool insulation to minimise condensation when the ducting travels through a cold area such as a roof space. Manufactured to BS476 Parts 6&7 Class 0. Sizes available 102mm, 127mm, 152mm all in 10m lengths.